This afternoon Samsung unveiled its latest flagship smartphone, the Galaxy S5, at an ‘Unpacked’ event held at Mobile World Congress in Barcelona. The design of the Galaxy S5 is almost identical to that of the S4, retaining the metal-looking plastic around the sides, but changing the back to a dimpled soft-touch finish. 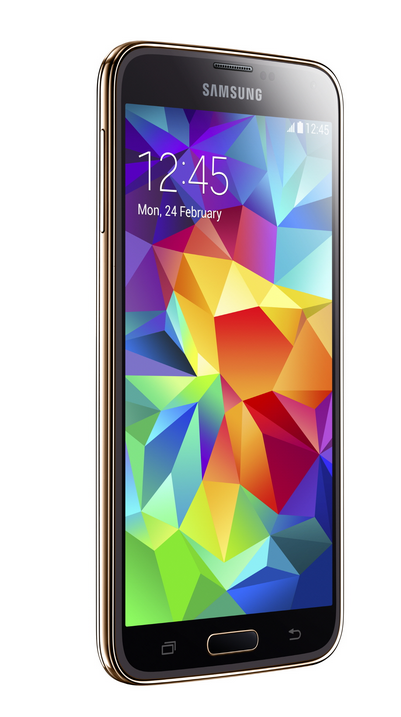 The S5’s display is a slightly larger at 5.1-inch 1080p Super AMOLED display. Samsung has incorporated a fingerprint sensor into the home button of their latest flagship smartphone, which can be used to unlock the device, make mobile payments, and more. The S5 comes with a USB 3.0 charging port and is rated at IP67 for water and dust resistance. The 16MP rear camera is capable of shooting 4K video and real-time HDR (which works for videos as well). The company is touting fast auto focus and a better colour range. The S5 is equipped with a 2,800mAh battery and ultra power saving mode, which is set to improve battery life by about 20 percent. The company’s new S-Health app will was made to work with their Gear line of wearable devices, along with the heart rate sensor that is built-in to the back of the Galaxy S5 beside the camera’s flash. 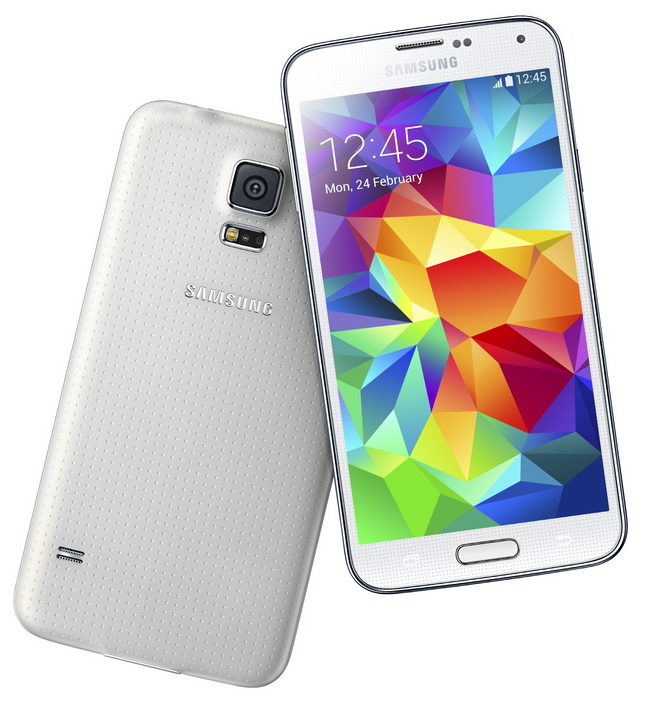 The Galaxy S5 from Samsung will be available globally (approx. 150 countries) on April 11 in black, blue, but the company has yet to release a price. 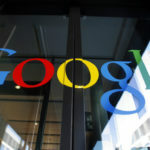 Customers should expect to pay around $199 on contract for the device when it is released. 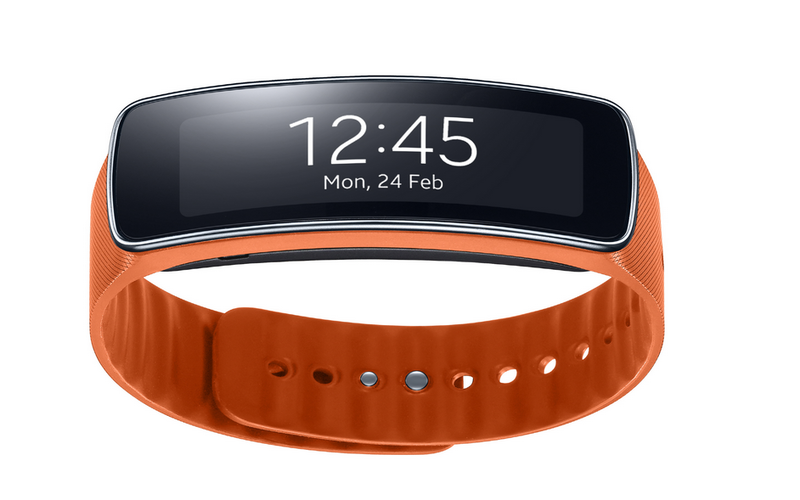 Samsung has also taken another step into the health and fitness industry with its latest smart-band. 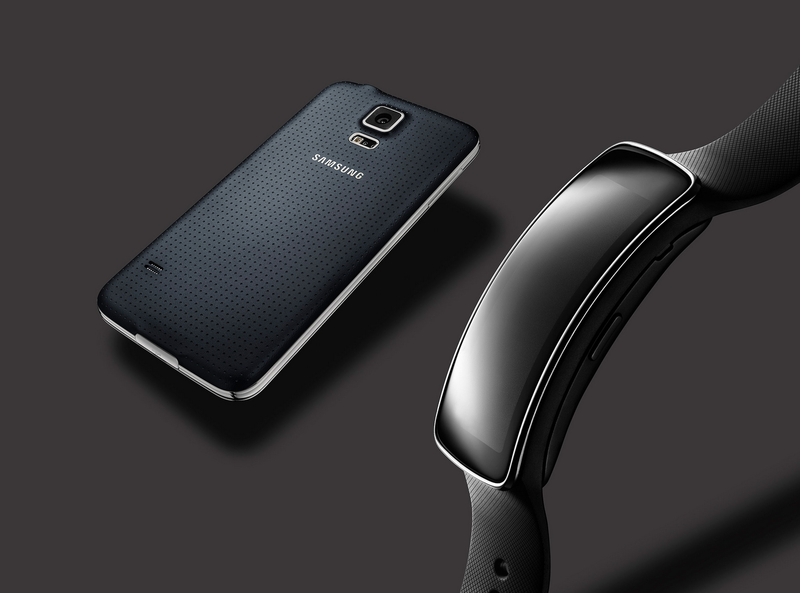 The Gear Fit is the industries first wearable device that includes curved Super AMOLED touch screen display. The device features among other things a heart rate sensor, and keeps users up to date with instant notifications from their Galaxy smartphone (currently 20 Galaxy devices are compatible). Yesterday, the company announced the Tizen-based Gear 2 and Gear 2 Neo only 6 months after the release of the original Galaxy Gear. Samsung is trying to get ahead of Apple in the health and fitness area, as rumours point to a fitness-centric iWatch with a companion Healthbook app. The Gear Fit will also launch in about 150 countries on April 11, but the Korean company has yet to give a price for the wearable device.